If you own a local business, you probably seek the same thing every entrepreneur and marketer seeks. Profit. That’s the end result, but the journey can be long. One of the most challenging aspects that most local business owners face is the complexity of the digital environment, which has already changed the face of business over the past few years. In today’s competitive marketplace, you must seek to extend your “digital arm” and improve your brand’s visibility and reputation. In short, you have to build a successful online presence. How can you achieve that? Well, if you look objectively at what’s popular today, you’ll see that social media is now the most significant opportunity that you can leverage to expand your customer base. Facebook is the most used social network at the moment with about 1.28 billion users using it on a daily basis. This channel offers you unlimited opportunities to reach and attract new potential customers. 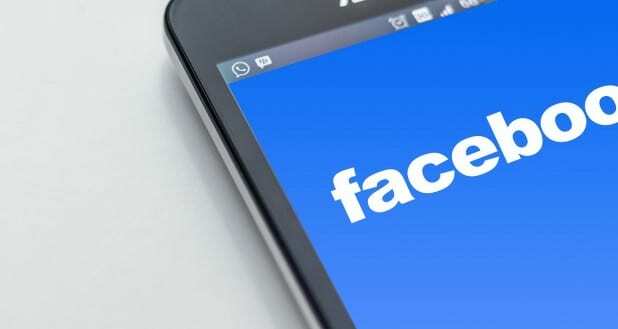 For those who’re willing to make modest investments, Facebook’s paid advertising system can boost their business performance to peak levels that they’ve never experienced before. Indeed, promoting your local business via Facebook ads is a smart way to step up your game, overcome your limits and boundaries, and become a top player in your niche environment. In today’s post, we’re teaching you how to leverage Facebook ads to market your local business in the most effective way. But before doing so, we’d like to cover several important aspects that need to be addressed before jumping to the real action. Knowledge without action leads to nothing. Action without knowledge leads to chaos. Therefore, know what to do first, then take the proper action and make it happen. Before even attempting to start a Facebook advertising campaign, you need to establish concrete goals. What do you want to achieve with your ads? A local business can establish different objectives such as brand awareness, email opt-ins, online sales, or client calls. Choose your objective based on your biggest needs. Do you want to spread the word about the best pancakes in town? Then your objective is to improve your local awareness. Do you want more sales? Tell people to visit your store and offer a good discount. Always have an objective before you start your campaign. Establish who your target audience is. That means you need to put yourself in your customer’s shoes and resonate with his life, feelings, problems, and needs. Develop a target persona and use it whenever you develop a new campaign on Facebook. The key to building a truly loyal customer base lies in the ability to connect with your audience on a deeper level. This is something you can accomplish only when you really care about knowing and understanding them. Your local brand can only stand out from the crowd if it offers something different, or something better. Give your followers something to get attached to. A story, a great product, a great customer service, social status value, or something unique that no one can offer them. Be unique! Even if your business is local, you shouldn’t neglect the branding process required to position yourself in the marketplace. Nowadays, owning a store in a good location is not enough to win over the competition. You need to have a great brand design that attracts the eye and inspires trust or sparks passion. Use your branding colors for your Facebook ads visual content. Simply put, align your brand’s colors with the promotional material that you’re going to publish and think of what elements you could use to enhance the message of your ad. Now that we’ve gone through the basics, let’s see how you can take some practical action and develop a profitable Facebook ad campaign for your local business. As a local business, you first need to gain local awareness. Let people know that you exist before expecting them to visit your website or store. Before developing a Facebook advertising campaign specifically designed to improve your local awareness, ensure that your business is listed as a local business on Facebook. By doing so, you can take advantage of all the features meant to help local businesses thrive. Click on the blue button “Promote Local Business”, and your ads will show important details like a Map card, which provides the distance, hours of operation, and exact location of your business along with instructions that’ll help customers arrive at your place. Select the location in which you want your ad to be displayed, the age of your target persona, and the language that your prospects speak. Moreover, you should pay close attention to the “Interests” section. This is the place where you can play with your targeting, as you can a lot of options. A good idea would be to add your business competitors’ name and target the people that liked their page. In case you didn’t know, Instagram is owned by Facebook. The entire advertising system is interconnected, so if you want to promote your ads on Instagram, you can do that through Facebook. Promoting your local business on Instagram is very effective, as this social channel is mainly based on visual content. You can showcase your products, your team, your brand, or anything that comes to your mind. Visual content is very effective, so make certain you use it in your campaigns. Every advertisement, no matter its purpose, must capture the prospect’s attention. Ideally, it should stop his activities and make him interested in what you have to say or offer. I’d advise you use triggers that appeal to the locals. For example, if the local community is tight and everybody is updated with the local news, you can take advantage of certain trends or popular things that manifested in the past. Moreover, you need to appeal to your viewer’s emotions. Make them feel something. Curiosity, inspiration, motivation, urgency, surprise, or fear. It doesn’t matter. Emotions are always powerful triggers for capturing the full attention of your audience. Another idea would be to offer great discounts and coupons that expire very soon. Leave your local or website address and encourage people to click! A great advertisement on Facebook must contain a powerful and effective CTA. Most users aren’t used to taking action on their own. At the end of your ad message (or in the picture), you should encourage your users to do something. Depending on your campaign’s objectives, offer people the chance to find out more on your website, like your page, call your number, or opt-in to your email list. Always use a call-to-action within your ad! If you already own a list of emails that belong to old customers or potentially interested individuals, you should take advantage of the “Custom Targeting” feature. This option allows you to restrict your ad’s reach to only the email addresses you provide. By doing so, your average CPC or CPM costs will decrease while only the right people will be able to see your ad. Custom targeting is a great way to minimize your campaign’s costs and keep your performance consistent. Social media marketing is an essential activity that presently rules the international marketplace. Be smart and don’t spend more time sitting around without promoting your business on such amazing distribution channels. Facebook ads are your best bet for growing a huge base of loyal fans and customers even on a modest budget. Start leveraging it properly and reap the gold benefits that it offers! Warren is a marketing enthusiast and a blogger at UK Best Essays, who loves music. If he doesn’t have a guitar in his hands, he’s probably embracing new technologies and marketing techniques online! You can meet him on Twitter and Facebook. Digital marketing, one of the best platforms for any business, I am also a digital marketer and running my own DM agency and I want to say that Facebook Ads is the best method to generate your brand awareness and the above information will help the marketer to increase his efficiency and I also suggest some tricks which will help the reader- 1. Did you know that every 60 seconds there are 317,000 status updates and 54,000 shared links uploaded to Facebook so focus on quality over quantity? 2. Instead, to improve your response for each segmented market, you can customize the heading by clicking Advanced options and using the text block to adjust headings. 3. Whether you’re creating a PPC ad or Facebook page content, your objective should be the same: providing highly relevant content that your potential customers want to engage with. 4. We may not all have big budgets to get in on growing AI and BOT tech, but Facebook’s Instant Replies are the next best thing. 5. When it comes to building a sense of community around your brand, nothing beats genuine UGC (user-generated content) and testimonials. Not only is this a great way to include your fans and shoppers, incorporating UGC into your Facebook marketing content helps to entertain, boost trust and ultimately increase sales. Making facebook group and build facebook ads is now most growing task in digital marketing it improve traffic and rank of website very fast.